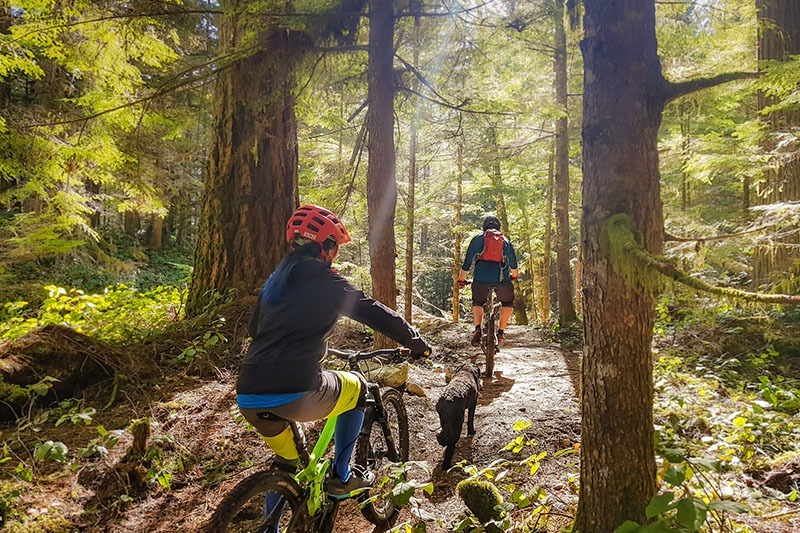 Here is a tour tailored for visitors to Squamish and people interested in experiencing Mountain Bikes for the first time. Come see what all the fuss is about and let our industry certified Guides show you why they love cycling in the Mountain Biking capital of the world, Squamish B.C. Over the last few years, Squamish has quickly developed into a hot spot for adventure tourism enthusiasts. Previously only a rest stop between Vancouver and Whistler, Squamish is now a full fledged destination for anyone with a yearning to experience the outdoors on an elevated level. There is no better place to give Mountain Biking a try than Squamish! Mountain Biking will give you a new perspective on outdoor excitement and provide you a new challenge that will test you both mentally and physically. 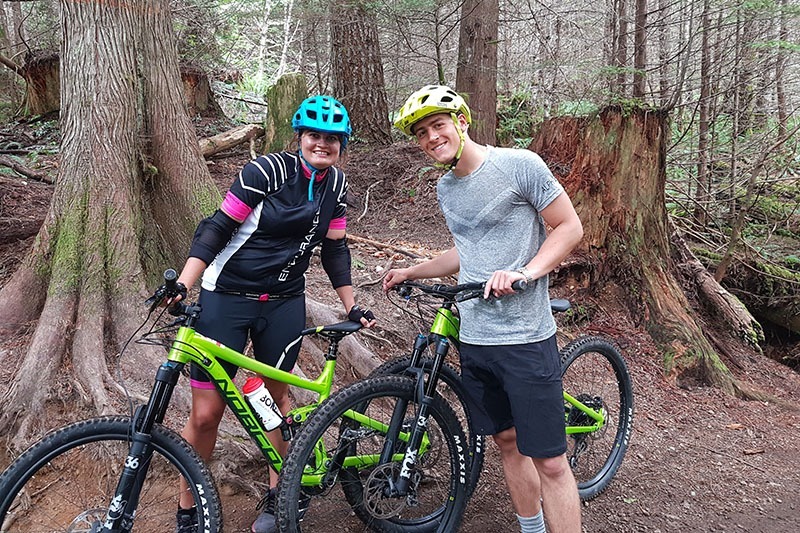 Our industry certified guides know how to get the most out of your trip to Squamish and will make sure your first experience on a mountain bike is a memorable one! During your Intro to Mountain Biking session, we will teach you the fundamental skills you need to tackle the trails with confidence. Our guides will show you some of the infamous breathtaking trails that reside in our coastal forests that are entirely unique to this area. Squamish hosts the largest remaining intact temperate rainforest in the world. Everything you need will be provided, including a super high-end Mountain Bike from Norco Bicycles and a Helmet to keep you safe. And no Mountain Bike ride would be complete without a well deserved après at Norman Rudy’s on Squamish’s Best Patio, all included in your cost. 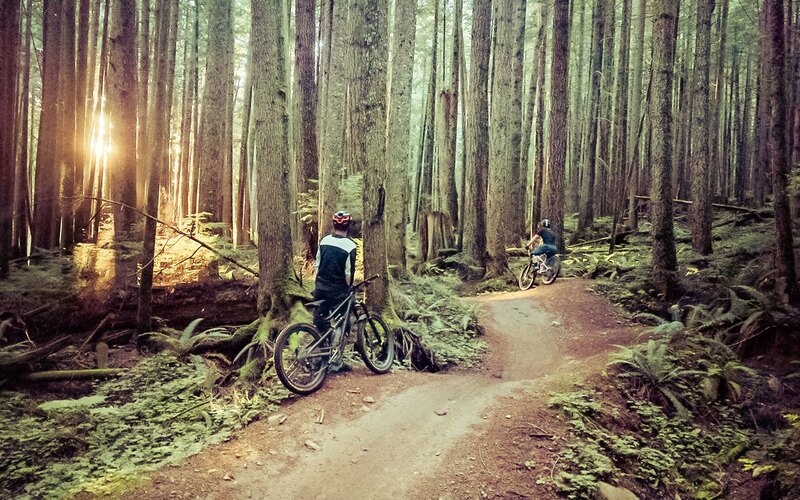 Squamish has terrain and mountain bike trails for all rider abilities. This tour is designed for clients who are new to Mountain Biking and want to give it a try. Private Intro to Mountain Bike Tours are available throughout the riding season. Have an idea that you want to make happen? Maybe a surprise for a friend or a significant other? Let us know and we’ll tailor an unforgettable experience with our guides. 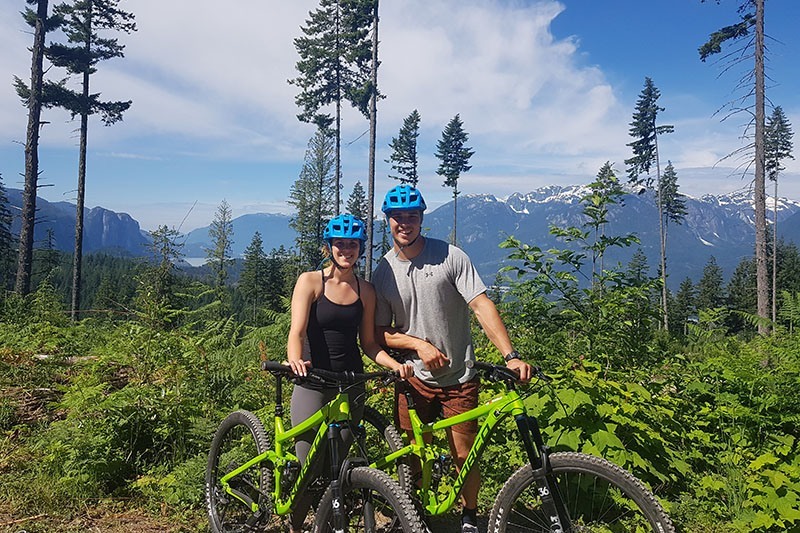 Combine our Intro to Mountain Biking with some Squamish specific entertainment, nightlife and overnight accommodation and create a memorable experience. A rental bike is included for your Intro to Mountain Biking tour and we will provide flat bike pedals that are suitable for flat soled riding shoes (Shoe rental is *NOT* available). Your shoes should have a flat surface (avoid hiking boots, etc.) and be laterally supportive. Remember, this is a strenuous physical activity! Be sure to dress in layers that are easily removed and stowed (no bulky items). Light rain or wind shells are a great item to have available if the weather changes suddenly. Avoid jeans or other restrictive clothing and be prepared to sweat a little! We will happily pack your outer layers for you once you get warm. Because we will be spending a couple hours on the trails, it is your responsibility to keep yourself hydrated – and it’s easy to forget when you are having fun. We will provide you with a water bottle with fresh water in it. Our mountain bike guides will be making sure you are drinking it! If you like to snack when doing physical activity, please bring any additional snacks/bars that you will need to consume with you. 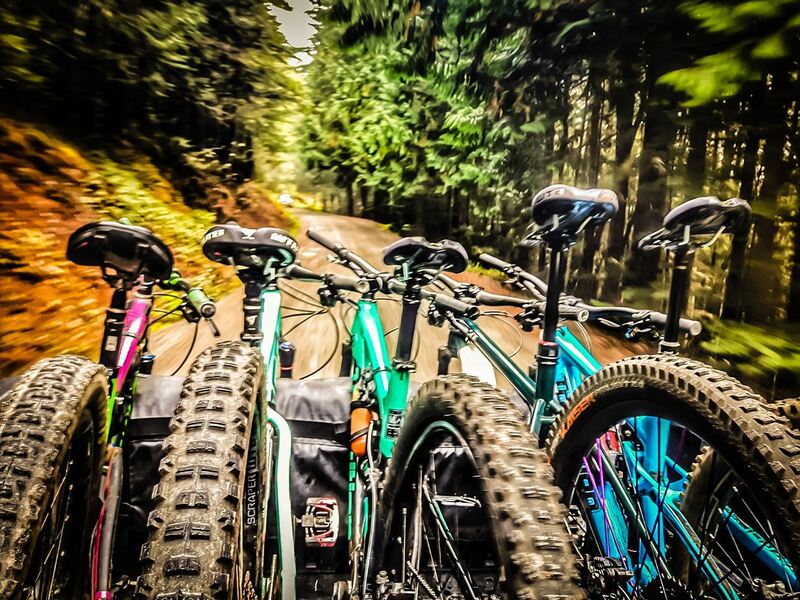 Don’t forget to bring your camera so you can show your friends back home and on Instabook for Facegram how much fun you are having riding a mountain bike in the coastal forests of BC!